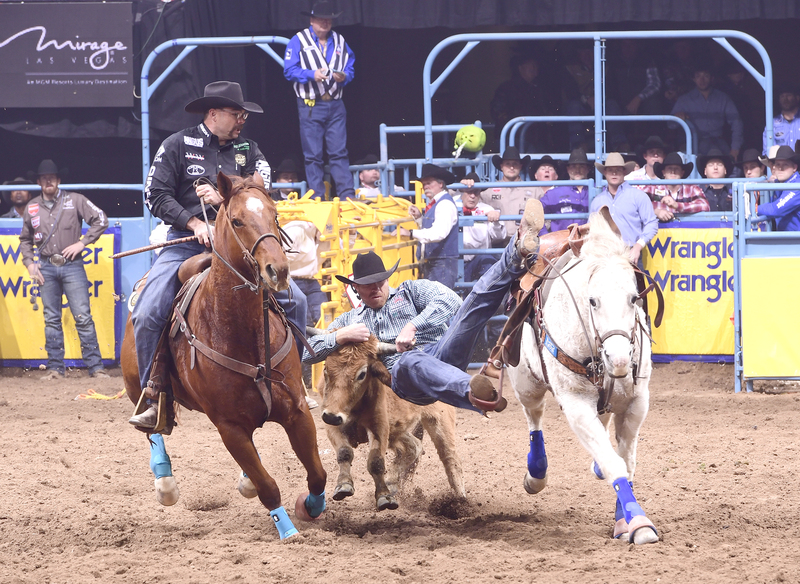 LAS VEGAS – Some people may have thought Blake Mindemann’s chances at the National Finals Rodeo faltered Saturday night when he failed to finish a qualifying run. Fortunately for the Blanchard, Okla., cowboy, those thoughts never entered his mind. That’s the perfect philosophy in Las Vegas, especially considering the NFR’s $10 million purse. On Sunday night, he threw his steer down in 3.8 seconds to finish the fourth round in a tie for third place. For that, he pocketed $13,327 and pushed his NFR earnings to $28,827. Because of his third-round no-time, Mindemann is 13th in the average race, which pays a bonus to the top scores on a 10-round aggregate. The chances of him winning the prestigious title race are slim, but the Oklahoma cowboy still likes his chances to move up in the aggregate standings. He knows he has the right partners to help get him there. He’s traveled this season with two-time world champion Hunter Cure of Holliday, Texas, and the two keep each other excited for each day’s festivities. 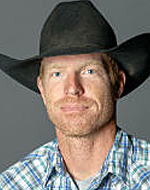 The other partners are his trusty horse, Django, and his hazer, Matt Reeves, an NFR veteran. Django and Reeves keep putting the steers in position for Mindemann to make the runs necessary.